Lent is a very popular Catholic spiritual holiday. Lent is a time of prayer, penance, sacrifice, and good works in preparation of the celebration of Easter according to Catholicism. Lent is a fast that lasts for 40 days, although some dispute the time frame. It begins on Ash Wednesday and goes until Easter Sunday. The 40 days comes from the time Jesus fasted in the wilderness before He began His 3 year earthly ministry. According to the Catholic Encyclopedia, “The real aim of Lent is, above all else, to prepare men for the celebration of the death and Resurrection of Christ…the better the preparation the more effective the celebration will be. Now I can take a lot of that statement and explain how wrong theologically they are, but instead I’ve learned to take the good from that statement. “Lent is to provide that purification by weaning men from sin and selfishness…” How? “through self-denial and prayer.” Regardless of your thoughts on Lent, we all need some self-denial and a little more time in prayer. Many celebrate holidays like Halloween and Valentine’s Day with no problem. Why not take the practice of Lent and give it a try? Is it because we are selfish and don’t want to give anything up? Giving something up for 40 days is not an easy task. The principle behind Lent can help us improve our self-discipline and learn how to exercise self-control. In 1 Corinthians 9:24-27 Paul explains the importance of discipline. He refers to us as athletes who should exercise self-control (verse 25) and explains how he disciplined his own body to keep it under control (verse 27). Lent can be a perfect time for us to improve or learn better discipline. It is very important that we learn discipline. We have, as Peter would say, an adversary the devil prowling around like a roaring lion, seeking someone to devour (1 Peter 5:8). We need discipline because the current of the world pulls us away and we are reminded by John not to love the world or the things in the world (1 John 2:15-17). We need discipline because we are forgetful and easily distracted. We get tired and discouraged. We naturally prefer our own way. What do I give up? Now comes the fun part…deciding what you are going to fast from. The early church varied in what they would give up for Lent. Some abstained from all forms of meat and animal products like milk, cheese and eggs, but others would include fish. It has now transitioned into an individual giving up anything for 40 days. I have seen friends give up Facebook for 40 days, soda, candy, meat, etc. I have personally decided to give up unnatural sugar, including Splenda and Equal too. When I told my wife she laughed at me. This will give you an idea of how hard this is going to be for me. And that is the point. Try not to make it something easy to do so you are doing it for the sake of doing it. Challenge yourself! Remember the goal is to learn self discipline and exercise self-control. Whenever you feel the urge for what you have given up, pray. What a beautiful thing it would be if more Christians over the next 40 days learned and exercised self-discipline while denying themselves worldly pleasures and spent more time in prayer. Please also check out the article by Ron Hughes on Should Christians Fast in the 21st century? Editorial Note: Mike asked the assemblyHUB team if he should post this knowing the potential association with Catholicism. While the rest of the team does not practice Lent, we felt it important to post the article to show our support for personal convictions. “And he died for all, that those who live might no longer live for themselves but for him who for their sake died and was raised,” (2 Corinthians 5:15 ESV). It was this verse that the Lord used to cause Mike to repent and fully surrender his life to Christ. 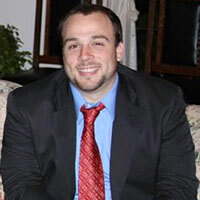 Mike and his family reside and serve the Lord in Jamaica. They have been commended to the Lord’s work there by 5th Ave Chapel in Belmar. Hi, Mike. I have held off commenting on this post, because I do not want to rail. But I think you have some things wrong here. First, the logic that since we follow un-biblical practices such as Valentine’s Day and Halloween, we should go ahead and give Lent a try is a little like saying, since you already smoke, you might as well go ahead and drink too. Simply not very logical. But more importantly, something that drew me (and others I know) to the assemblies is that we set out to get our practices from the Bible, not from the culture or from denominations. Lent, in particular, is part of the secular/sacred paradox of Roman Catholicism. The idea of good and evil existing together is part of eastern mystical religions and gnosticism. While the Bible acknowledges that we have the sin nature in us (Romans 7), it never tells us to cultivate that nature. 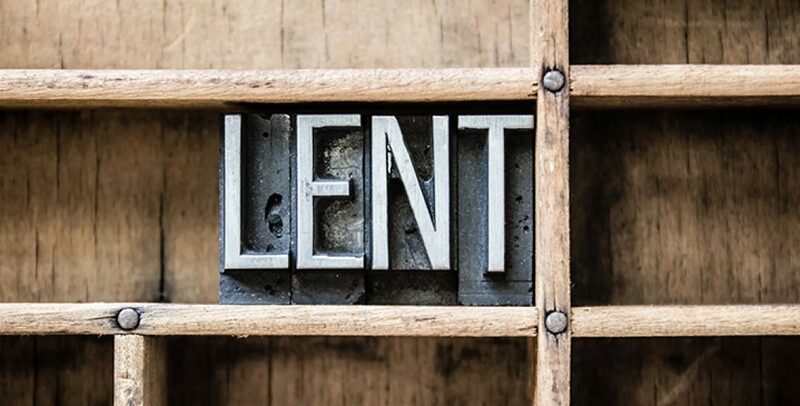 Lent passively encourages us to be separated for 40 days a year, which invites the inference that we don’t need to have sanctified lives the other 325. If you don’t see that inference, just look at fat Tuesday (the last day of debauchery before the period of self-imposed “holiness” starts). Lent focuses on externals—the smudge on the forehead and the giving up of things we enjoy. None of this really puts the focus on the object of our affection—the Lord Jesus Christ—or the resource of our sanctification—the Holy Spirit. If you want to focus on a time of meditation and prayer, that is altogether good. But when you borrow from a system of secularism, mysticism, hierarchy, and religious ritual, you really have a hard time not inheriting its baggage. The practice of Lent has become common among Christian young people seeking substance. But I would ask you to look into the history of this practice. I know you will seek the Lord in this and in all things. And He will direct your heart. I hope this comment arrives in the spirit of love in which it is given. I love your commitment to the Lord and His things, and I pray that you continue in that. I appreciate the feedback. My point with Valentines Day and Halloween is that we have taken holidays that have no Christian significance and adjusted them to allow us to celebrate them. Even more of an example is Christmas. That is a Catholic holiday but we take the good aspects and celebrate it. We actually wrote an article about Halloween and how we believers can participate in the holiday. Give tracts out etc. now you also said that you set out to get your practices from the Bible. As I said I’m taking a tradition from a different denomination and using the word of God to participate. 40 days is a good guideline for me, the Lord fasted for that long in the wilderness. I could look at every lil detail but instead I’m taking the good and participating. If people give something up for 40 days other times of the year all the power to them. I thought it would be a good time for me personally because people are more understanding and others are doing it. self denial and self discipline is something I struggle with. I have fasted before but the thought of giving up something for 40 days I felt like was impossible. If unbelievers are willing to do it for no good reason and believers are doing it to grow closer to the Lord why not give it a try? In no way am I promoting lent, I’m promoting self discipline and self denial in order to grow in my relationship with the Lord. We agreed the title was bad lol but the point is good. If I looked into the history of everything I practiced I might not be partcipating or doing a lot of things I do. The question I ask everyone is if not during Lent, will you do it another time if the year? If not how come? I mean think about it , giving up something for 40 days, that is a challenge. Do we use the excuse that it has a bad background and it comes from a denomination that doesn’t preach the gospel in order that we don’t have to give anything up? Not saying it’s always the case but it was probably true of myself when I would always give people a hard time about partcipating in Len. Much love to you brother.